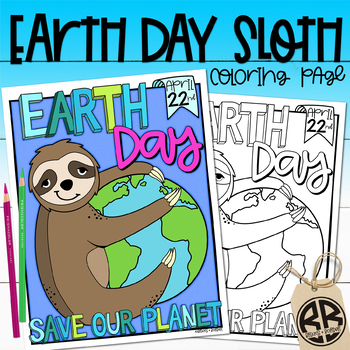 This Print and Go EARTH DAY SLOTH coloring page activity is something your students will love to color. Your students will have fun coloring while you will enjoying finding out who loves sloths as much as you! Everything designed in 300 dpi for crisp, clear printing and display!